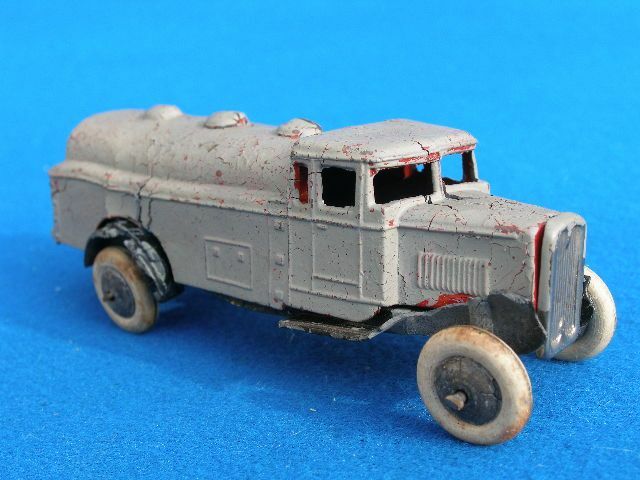 Just won this one, not in the best condition, and re-painted, so even I would normally have thought twice, BUT I spotted the open cab side and rear windows, making it I think the first run of these from 1934 in plain red, I had to have it, and just hope it arrives OK. Better pictures to follow when it does. 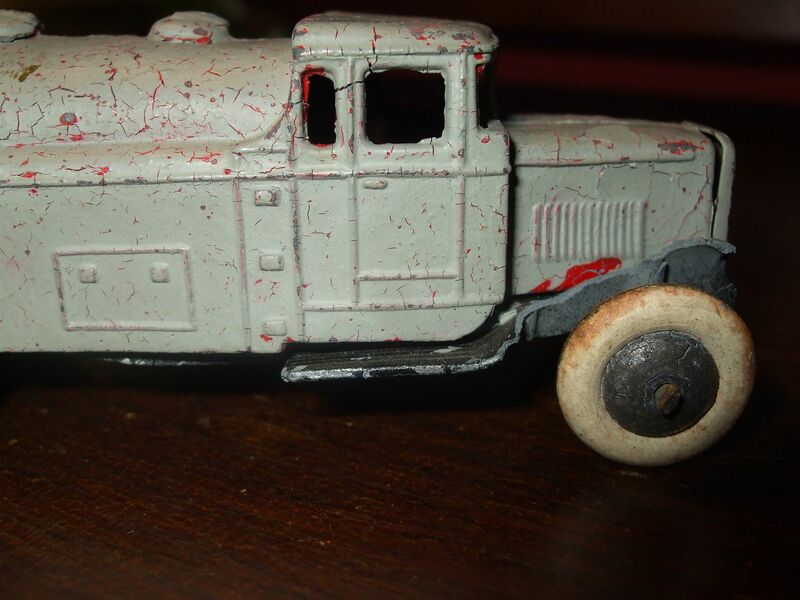 I have a T1 Redline Glico tanker that this will sit lovely with. I think I will try to strip that paint off if I can, but if it's been on for decades a new coat of red (and a tube of superglue!) might be in order. Well spotted, and a nice addition to your fleet of 25's. Very nice find and quite rare......you just do not see those very early versions with the opens windows. However, I would have to think twice before attempting to strip or re-finish that one......it appears somewhat fatigued and fragile, and might just crumble with too much spent on it. I this might sound like sacrelidge but let me give it a try. 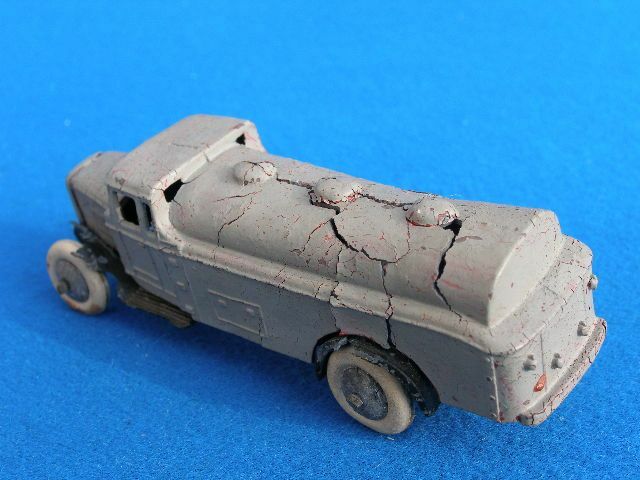 I was wondering, since this model obviously is in a very bad state of "decomposition" would it not be worthwile to preserve it, and other like it that have got the metal fatigue, in a solid resin casting. Like "entumbing" it in a clear resin so that it remains intact but still enjoyable to the eye. Dirk---Since I do not restore or repair, I will defer to others one what you are trying to do. I would guess that you could entomb it in some type of resin, but I know I have heard of others using some type of cement carefully applied to cracking areas to hold it together. I am not sure if there is any other "coating" that could be applied to shield it from further dampness, or whatever seems to encourage the fatigue. 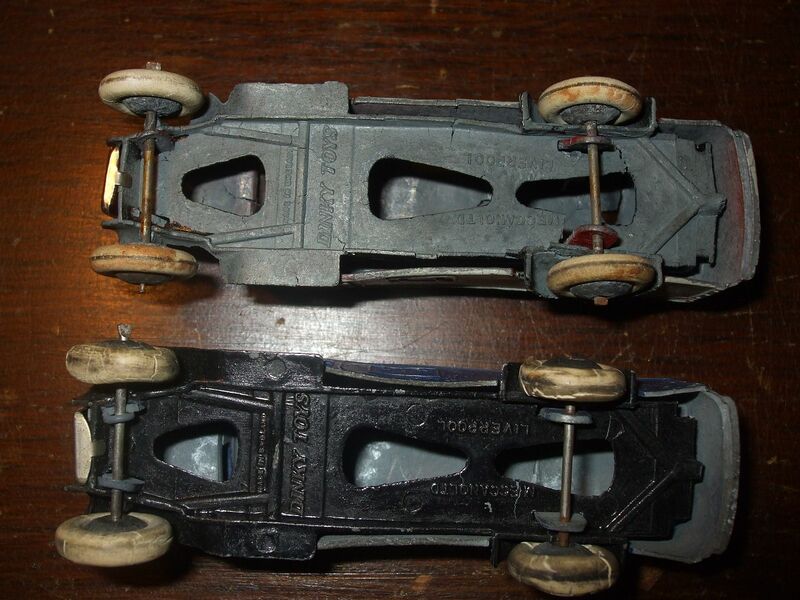 Here is Southern California, it is relatively dry, and none of my pre-war Dinky's with mild fatigue show any signs of worsening after many years...they seem to be stable and are in no danger of falling apart. It will be interesting to hear from others in this regard! Dirk's idea is not bad but one may be able to improve it. respray in and outside so that 100 % of the metal is covered and isolated from the atmosphere's oxygen. 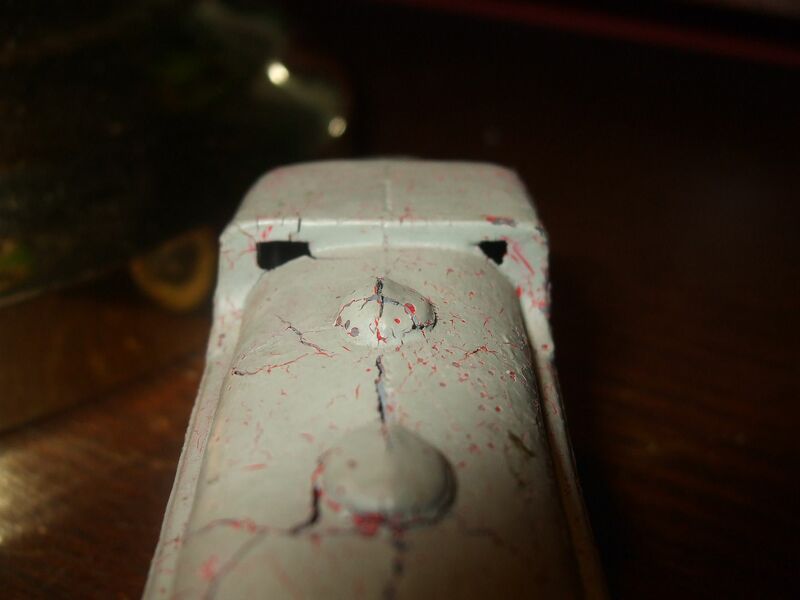 It maybe a good idea to use varnish as a primer as some paints remain porous after drying. reassemble and display this very rare item. The problem with zamac corosion is oxygen, not dampness. Good luck, I am sure that we all want to see what you will have done with this model, it is only the second one that I see. Very glad to say the Tanker has arrived safe and sound. It is very delicate, and is now sitting safely in the cabinet. I'll decide what to do about restoration / preservation in the future, to be honest I'm a bit scared to handle it at all! 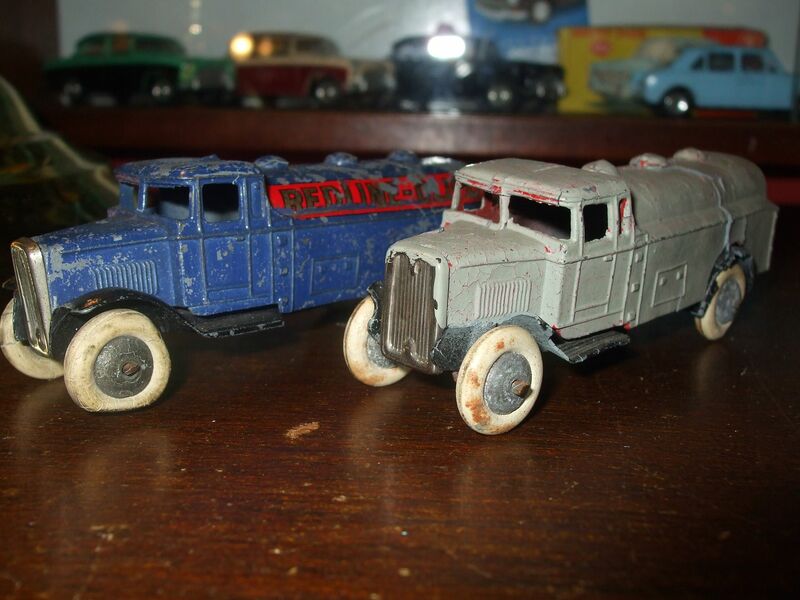 Chris--Very interesting to see good closeup photos of these Type 1 trucks. They are so rare, at least here in the states. I have never even seen one in person before, so this is a treat for me. You are right in that those rear windows are already flashing up, and Meccano probably quickly decided that they could not hand file those clean, so just easier to delete them and others like that. 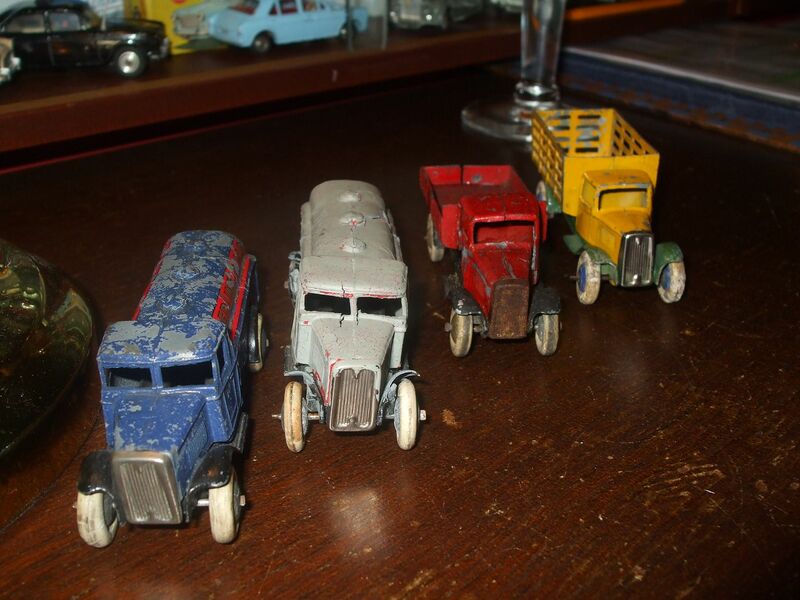 You have a very nice collection of these early trucks...thanks for sharing with us! You are always welcome to come and have a look in person if you get over here. Thankfully the little Red 25a is now back together after it exploded on Christmas night 2012, the miracle of tweezers and superglue!